The PCIe-Mini-COM-8 is an 8-channel PCI Express (PCIe) Mini UART (Universal Asynchronous Receiver and Transmitter) optimized for higher performance. 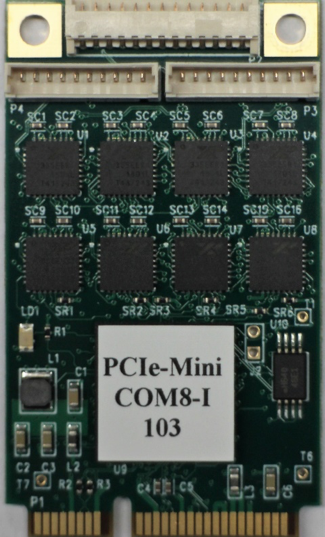 The PCIe‑Mini‑COM‑8 serves as a single lane PCIe bridge to 8 independent enhanced 16550 compatible UARTs. Software selectable 120Ω termination for RS-422 and RS-485 interfaces. Programmable data rates go up to 31.25Mb/s per channel for all channels. 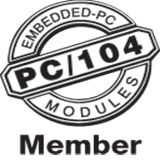 Available software: Windows®, Linux® and VxWorks® drivers, and C library dll’s.